Dewsbury is located in West Yorkshire in the borough of Kirklees. With a population of over 60,000, there is some fantastic affordable housing in the area. At My Home Move Conveyancing we continuously develop and improve our knowledge of local property markets like Dewsbury, enabling us to deliver a specialist, fixed fee conveyancing service to our clients across the area. When considering the sale or purchase of property in Dewsbury, you must instruct a lawyer to carry out the legal work on your behalf. 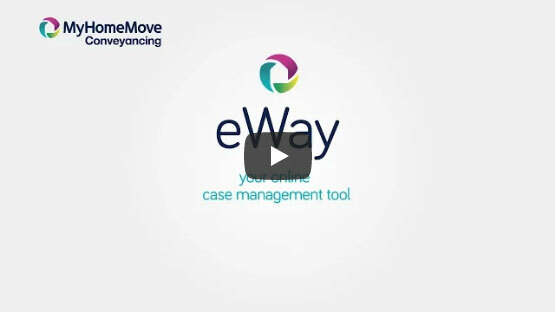 At My Home Move Conveyancing we offer our clients in the Dewsbury area an award winning level of customer service, an innovative use of technology and intimate knowledge of the local market. Our fixed fee conveyancing service comes with no hidden extra costs to worry about, meaning you can budget for exactly how much you’re going to pay from the outset when you choose us to be your Dewsbury conveyancers. If you don’t end up moving, you won’t have to pay us a thing. We will assign you a dedicated conveyancer who will take care of all aspects of your case from start to finish, providing you with a consistent point of contact and regular progress updates. We can supply our conveyancing services in Dewsbury to homebuyers purchasing properties across the area, including spots such as Chickenley, Crackenedge and Earlsheaton. The average house price in Kirklees is £115,184, while in Dewsbury over the past year the overall average sale price was £129,548. Terraced properties were involved in most sales, going for an average price of £97,982, while semis fetched £124,913. Detached properties averaged at £208,410, and the relatively small number of flats at £66,743. With the River Calder snaking through town, Dewsbury experienced plenty of growth in the 19th century as a mill town. Nowadays there has been lots of redevelopment of these old mills into great new flats and modern apartments, which complements the regeneration of urban areas. Dewsbury enjoys a close proximity to larger neighbours such as Leeds and Bradford, which lie around eight miles to the north, while Huddersfield is a similar distances to the southwest. There are good transport links for traveling between these parts of West Yorkshire, with trains to Leeds taking less than 15 minutes. Services to Bradford go via Leeds so take closer to 45 minutes, while it’s less than 10 minutes to Huddersfield. The A644 links Dewsbury to the M62, which heads west to Manchester and Liverpool, while the A638 runs to the M1 in the east, and can be used to get to London. Leeds Bradford Airport is just over 15 miles away. There are some highly rated schools in the area for families with children to take into account, with options at secondary level including the Wheelwright grammar schools for boys and girls, St John Fisher Catholic High School, Westborough High School and Ravenshall School in Thornhill Lees. Westmoor Junior School, Bywell CofE and Eastborough Junior Infant and Nursery School are among the choices for younger children. All properties in Dewsbury will fall within one of the following council tax bands.